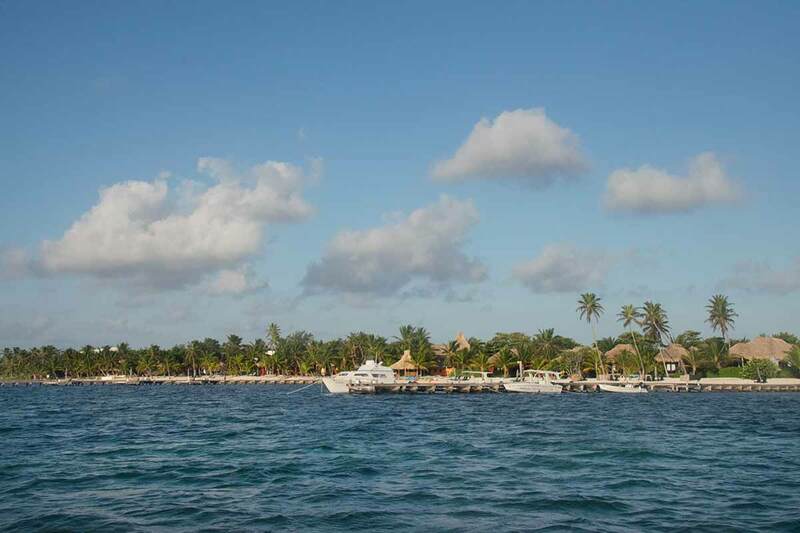 Belize NMS: Warm and fair conditions prevail. 24-hour forecast: Sunny today and partly cloudy tonight. Showers or thunderstorms will be isolated. General Outlook: For Thursday is for isolated showers and isolated thunderstorms. The approach of a tropical wave Thursday night will support an increase in showers and thunderstorms. Today E 5-15 kts Slight-Light Chop 1-3 ft ISOLATED SHOWERS OR THUNDERSTORMS. Tonight E 5-15 kts Slight-Light Chop 1-3 ft ISOLATED SHOWERS OR THUNDERSTORMS. Tomorrow E 5-15 kts Light Chop 2-4 ft ISOLATED SHOWERS AND ISOLATED THUNDERSTORMS. An upper level trough passes over Andros Island in the Bahamas, to Belize in Central America. 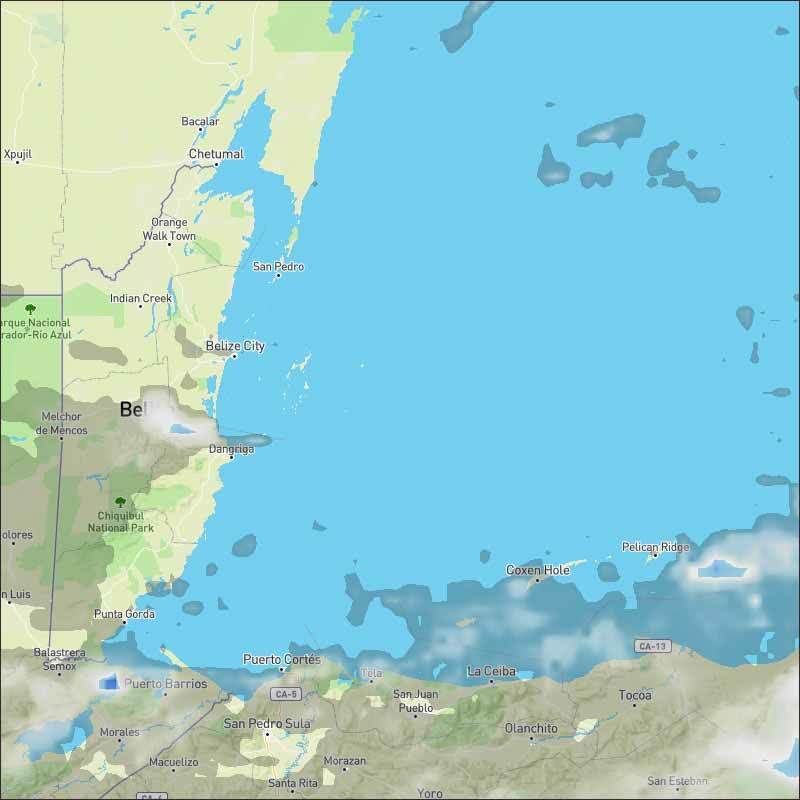 Isolated moderate rainshowers cover the area that runs from Haiti to Cuba, and from Honduras to Guatemala to SE Mexico into the SW corner of the Gulf of Mexico. Rainshowers are possible also from 15N northward from 80W westward, and elsewhere from 70W westward. An upper level cyclonic circulation center is about 100 nm to the north of the northern coast of Puerto Rico. Isolated moderate rainshowers are within 360 nm of the center in NE semicircle. The monsoon trough is along 08N/09N between 73W in Colombia and 84W in southern Costa Rica. 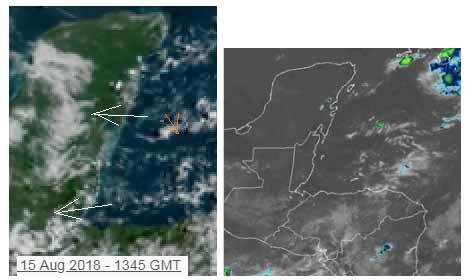 Numerous strong rainshowers are in Colombia and Venezuela from 07N to 11N between 71W and 75W. 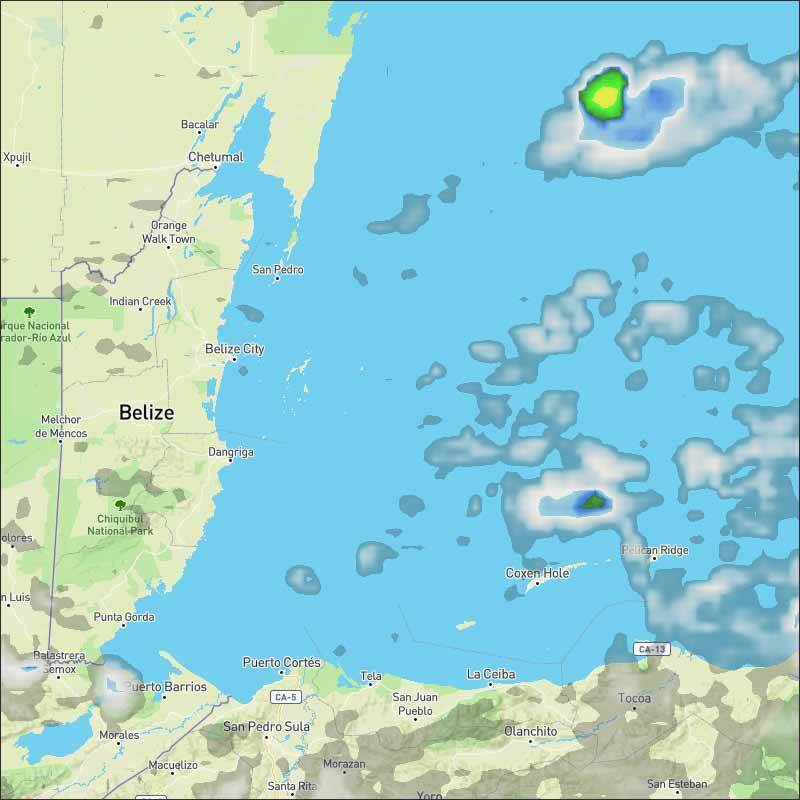 Isolated moderate rainshowers are from 13N southward between 75W and land, in the SW corner of the Caribbean Sea. A surface ridge across the western Atlantic Ocean will maintain fresh trade winds in the south central Caribbean Sea through the weekend. Moderate to fresh trade winds are expected elsewhere. On Ambergris Caye this morning the wind is from the East a 6 mph and sea around our barrier reef is calm. It's a beautiful sunny day with an expected high temperature or 88 f.
Go outside around midday today and hold your hand out or look as some shadow of a roof or something, you will see that the shadow is almost vertically below the object making the shadow. That is because the midday sun passes right above Belize at present. This is our second summer. That is why this is our second warmest period of the year. Looks as if today will be mainly sunny, with white clouds developing, a small chance of the odd rain shower.